How to Dress Comfortably this Autumn Without Compromising on Style! If you’re anything like me, you want to ensure you look fashionable and put-together, whether you’re at work, going out for lunch with your girlfriends, or even just relaxing and spending time with family at home. In an ideal world, I’d love to always be able to wake up an hour earlier, give myself a lovely blow dry each morning and choose an effortlessly stylish outfit and some heels – but that very rarely happens! 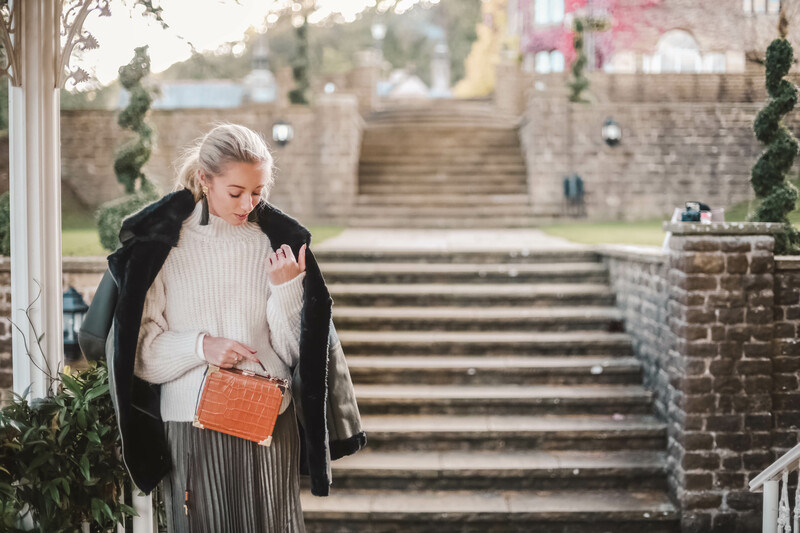 It’s a great mindset, and especially as Autumn draws in, we use this time of year as one for reinvention – and thankfully, with a few of these tips, you’ll be able to choose your daily outfits knowing you’ll look effortlessly chic but still ultimately ultra comfortable – because who doesn’t want to feel warm and cosy at this time of year?! As the seasons change, we often find ourselves wanting to make small changes to our daily routines to maximise our time. Whether that’s spending time improving our daily routine to include a new form of exercise or perhaps developing a new daily ritual of meditation or even starting a gratitude journal, why wait till the new year to start making these changes? This time of year is one to focus on doing things that bring us joy and happiness and invest in ourselves. With this mindset, we want to ensure we are investing well in our outfits, so the pieces mentioned in this post are ultra versatile, and you’ll find yourself reaching for them time and time again. An essential part of any Autumn wardrobe and a piece that is undeniably cosy & comfy is a classic knit jumper. M&S have totally ticked all the boxes with this £35 funnel neck jumper; the ribbed material is incredibly soft to the touch, easy to care for (machine washable – hallelujah!) and the simple design makes it such a versatile piece. While I love nothing more than snuggling up with a piece of soft and snuggly knitwear at home with some cashmere leggings perhaps, this piece can equally be dressed up and worn as part of a chic outfit for work or for a day out. As the temperatures start to drop, I just know I’ll be reaching for this piece time and time again, and one design detail that I look for in my jumpers is a high neck and long sleeves. Why? Well, if you’ve been reading my blog or watching my YouTube channel for a little while now, you’ll know that I’m borderline obsessed with the M&S thermals. More on those later, but the high neck and long sleeves of this jumper means I can wear a thick and cosy thermal top underneath, and no one would ever know! I dedicated an entire blog post last week to the Autumn Maxi Skirt. This khaki A-line skirt is not only a striking way to add one of Autumns key trends and colour ways to your outfit, but, you guessed it, it’s seriously comfortable too!! With an elasticated waist, it’s a pull on style and one that you’ll want to wear throughout the Autumn and Winter months (maybe even on Christmas day too – elasticated waist bands are a MUST for when filling up on Turkey dinners!). I find this khaki shade incredibly versatile and flattering too – a lovely alternative to black for those that love neutral and darker shades. A pleated skirt that hangs just above the ankles is a trend that no doubt you’ve already spotted on your favourite fashion bloggers and celebrities, and with a piece of lovely knitwear, it’s easy so to style. Just scroll through your instagram feed and any fashion blogger you come across will tell you that the easiest and most foolproof way to look chic at this time of year is layering. There’s something about a shearling jacket or long duster thrown over to shoulders that looks undeniably stylish no matter what you wear under it, and this faux leather shearling coat (a total steal at £85 from M&S) is the dream autumn layering piece. Available in cream or khaki, the outerwear piece features a faux fur lining to add a luxuriously soft touch to the skin, while the outer material gives the effect of leather, but without the hefty price tag to match. It’s a striking piece, creating intrigue whenever I wear it, and onlookers simply can’t believe it when I tell them that it was under £100 from M&S! Of course a shearling style coat isn’t for everyone, why not try a long line duster or wool blend cape as your outerwear of choice? Discover the full range here. The stilettos that Carrie Bradshaw famously paraded around New York in are thankfully now a thing of the past, with thicker more comfortable (but equally as high!) heels taking their place as the heel style du-jour. I for one, am very grateful. As much as I like (and need!) a height boost, if I find a pair of shoes hard to walk in, I simply won’t touch them, so a pair of beautiful boots with a high but chunky heel is an absolute essential in my Autumn wardrobe. This pair couldn’t be any more perfect. Once again M&S have mastered the balance between an undeniably chic design, with incredible comfort – even for all day wear. The Leather Block Heel Ankle Boots are crafted from long lasting, high quality and breathable leather, and are ergonomically designed to redistribute the weight away from the balls of your feet, reducing the pressure from that area, and increasing ankle stability. Whether your dashing between meetings, walking miles up and down Oxford Street or even going for a long walk, these boots will be comfortable all day long, that one I can vouch for! Oh yes, my favourite garment of all time. M&S thermals. It’s become a running joke amongst friends that whenever they see me, they ask which thermal I’m wearing underneath my top or jumper – over the years I’ve built up quite the collection and from October through to March, I wear one pretty much every single day. I recommend them to everyone, and M&S have the greatest selection. Long sleeve, short sleeve, vest style, thin, thick, soft lined, plain or patterned – the choices are endless. My personal favourite is the thinner style, in white with long sleeves – it’s a simple piece but one that makes such a difference to my comfort throughout the day, not only by keeping me at the perfect temperature, but it means my skin is always covered by the soft thermal material – no more itchy jumper problems! Do you have any further tips on looking stylish and comfortable in Autumn? Let me know in the comments below! This post has been written in collaboration with M&S and ShopStyle.